T-Mobile has been one of the less popular Wireless carriers in the U.S. for some time when it comes to customers. T-Mobile has not been able to get customers from AT&T or Verizon because of the lack of LTE and the lack of new phones. To try and gain a larger share of the wireless market, T-Mobile has announce a change from subsidized phones with 2 year contracts to having phone plans with no contracts in exchange for higher costing smartphones. T-Mobile’s new Wireless plan is completely changing the way you pay for Wireless service. Most cell carriers like Verizon and AT&T operate on a subsidized model. Where you get a new phone for a lot cheaper than the cost of the phone, but you are then locked into a 2 year contract at a higher monthly cost. Even all the cell carriers offer the pay as you go non-contract cell service most people do not like the plans because you can only use a few phones with the plans. The T-Mobile ‘Uncarrier’ plan structure is trying to change all of that and attract customers to their wireless network. The plans start at $50/ month for unlimited talk and text with 500MB of high-speed data (which may be a throttled speed data and not the full 4G). The new plans are another example of the wireless carriers understanding that talk and text and not as important as data service for people with smartphones. If you are planning on buying a new phone from T-Mobile, you’ll have two options: ‘Monthly Payments’ or ‘One Payment’. If you select the former, you’ll see a cheap cost for the phone like you would if it was subsidized. Then there is the monthly cost to pay off the rest of the phone. The Galaxy S III has a $20/month charge for example. The monthly cost combined with the cheaper purchase price makes up the total cost of the phone. If you select ‘One Payment’ option, you will just pay the high cost up front and then have your monthly bill only left to pay. One way to get around having to make the decision to either pay a small amount up front or then be stuck with a higher monthly cost is to purchase an unlocked phone outside of T-Mobile. 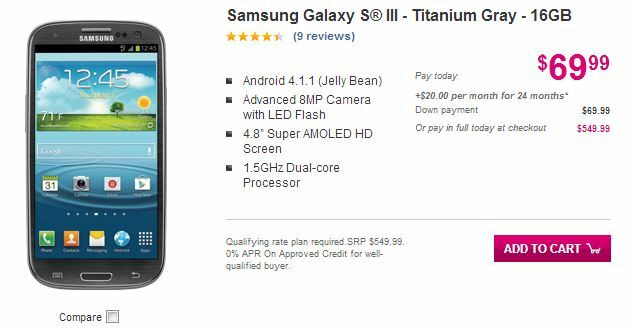 You can still buy an unlocked GSM phone like the Nexus 4 from Google and then take it to T-Mobile and sign up for the Uncarrier plan which I think is the best way to go even though it can be expensive if you want the latest phone like the Samsung Galaxy S III or S IIII. If you are like me then you can’t live with just 500MB of data a month for your wireless plan. T-Mobile charges $10 per month per line for every 2GB of data you want, or if you want unlimited data with Wireless Hotspot ability which only allows up to 500MB of data you can get that for $20 per month. So the T-Mobile Uncarrier plans with one line and unlimited talk, text, and data is $70 a month. This is very competitive and I think will draw customers like myself who care more about data than talk and not having to pay a lot for unlimited data is very alluring. The plan can also save money for families with many different lines. 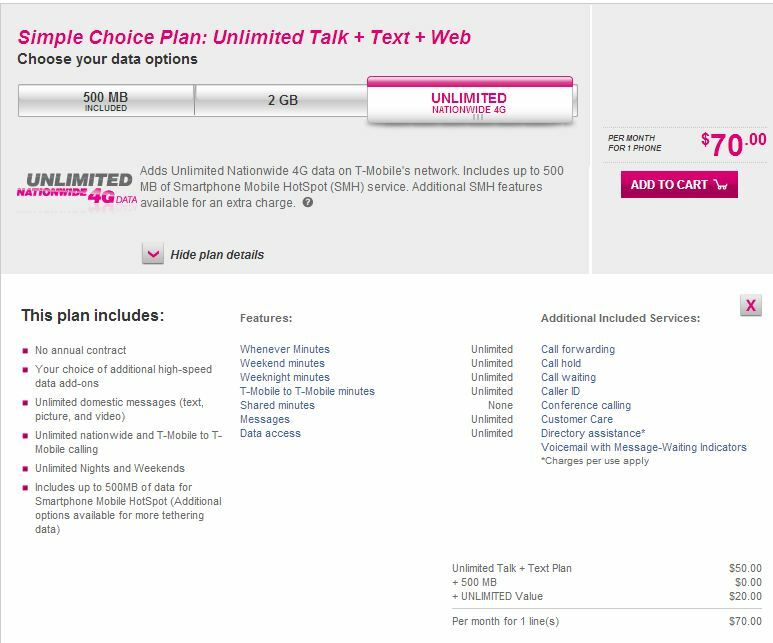 If you have a family of 4 people all with a smartphone or tablet you can get the T-Mobile Uncarrier plan with Unlimited Talk + Text + Data for $180 / month. 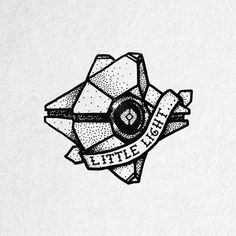 Which may be a good deal depending on how much data you need and how much you are currently spending for wireless service. So even though T-Mobile’s new plan is looking pretty good there might be some downsides to switching to T-Mobile. First as some as quick to point out you if you pay the lower cost upfront for a new phone and pay a little extra each month you are still kind of locked into a plan because you can’t leave T-Mobile until you pay off the phone. This may or may not be an issue for you depending on how you purchase your new phones. Another downside to T-Mobile is that there network is not as strong as other wireless networks in the US right now. 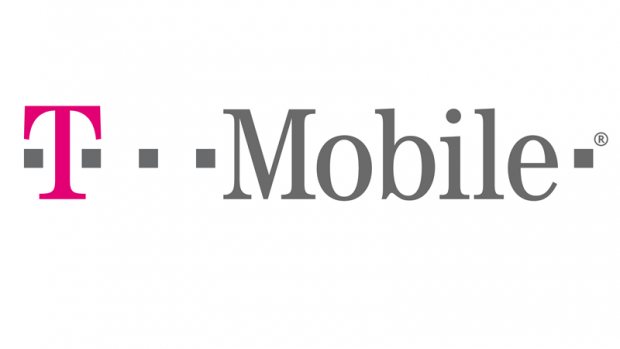 I add the right now because T-Mobile is starting to roll out LTE service to larger markets and hopefully later this year they will be offering LTE service in most parts of the country. If T-Mobile can implement LTE service with fast speeds then I think they will be a bigger contender with the combination of LTE and their new plans. We do not know what effect T-Mobile’s new plans will have on the wireless market, but it is nice to see them trying to shake things up. Depending on what you want out of a wireless carrier, and how much you want to spend T-Mobile might be a good alternative to try out if you are not happy with one of the other Wireless networks. T-Mobile is nowhere near able to topple AT&T or Verizon at the top of the wireless market, but at least they are trying something new instead of sticking to the same old wireless subsidized plans of old. Maybe other wireless carriers will follow in their footsteps and wireless plans can start becoming cheaper and cheaper.